From Alabama, we drove through Mississippi, a long state with a pine-tree lined interstate and little else. And that’s all we really have to say about Mississippi. My dad did enjoy the free cup of coffee at the first rest stop, our only stop in the state. When planning our trip, we realized we could be in New Orleans on the first Saturday of the months-long Mardi Gras celebrations. Never having wanted to go before, this seemed a prime chance. Except, we have a dog. And hotel rooms were booked, with all that’s available a $700 room in the French Quarter or a $38 travel inn motel with one star in Slidell, an hour away. After a few hours of creative brainstorming for what to do with Rachel so we could partake in beignets, king cake and a Saturday night parade through the French Quarter, nothing seemed reasonable. Instead, I got in touch with my friend Liana, who interned at the paper two summers ago and had recently moved to southern Mississippi with her photographer boyfriend. They met us in Baton Rouge. Our trip planning had been very preliminary, essentially just a rough sketch of our drive. Thank goodness for smart phones though. One of the first items Google pulled up was a brand new 36 Hours article from the New York Times. The travel writer included a blurb about Tony’s Seafood Market & Deli, a place north of town where a sign proclaims: “Swimming on This End. Fried on the Other End.” This sounded exactly like the dive-type spot my mom would find. Guess I’m more like her all the time. We had to stop. And then, it was finally time for lunch, our first real meal of the trip. Tony’s is a combination market and deli. When you walk in, catfish swim in tanks on the right side, though I didn’t see any that Saturday afternoon. 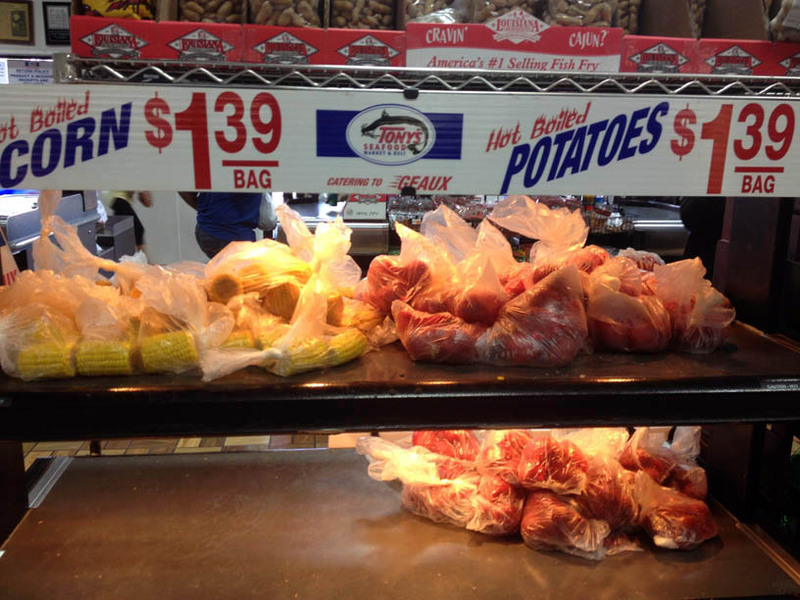 Around the market, fresh and frozen seafood is for sale–my dad eyed the huge bags of oysters. 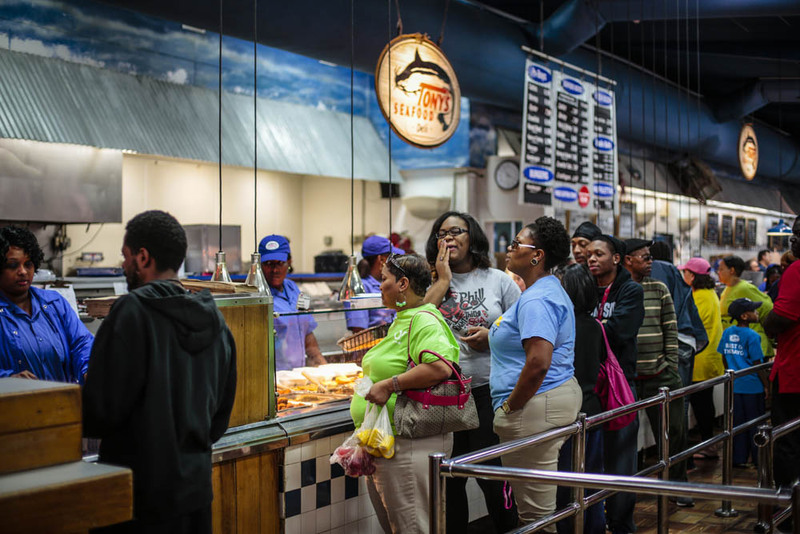 The deli is on the left, with two lines–one for po’boys, and the other for more seafood and sides. Overwhelmed when we walked inside, leaving the crowded parking lot where deputies oversee traffic, my dad and I must have looked lost. A nice man in a Tony’s polo asked us if we needed help. Yes, please! I asked about the boudin balls, which I anticipated being sausage. William walked to the back, and emerging from the kitchen a minute later, popped something from a paper bag into his mouth and walked over to us. He shared samples with us: boudin balls, a mix of rice and crawfish and spices then fried into balls, and fried catfish strips. 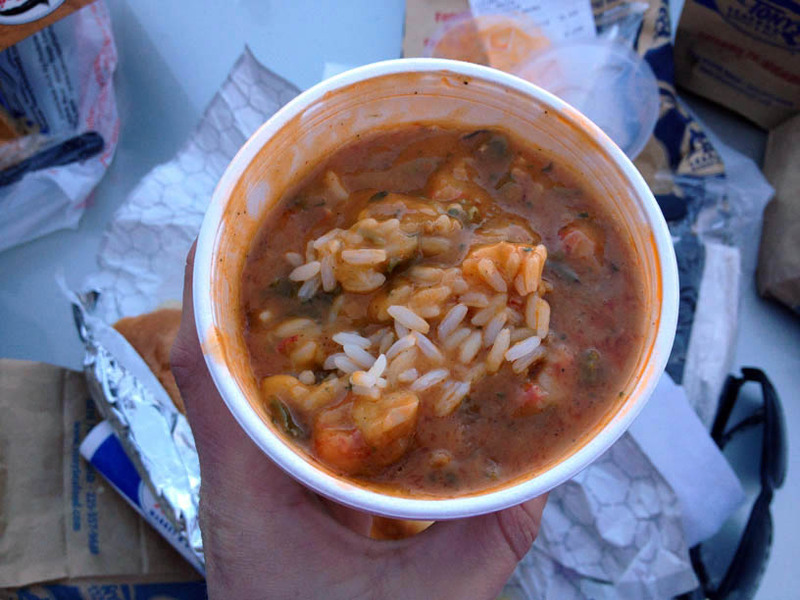 The Cajun spice hit you just right, but didn’t linger. Liana and Daniel walked in at that moment, and William brought them a bag of samples too. He also left two Cajun mixes for us at the exit. Though not a traditional lunch spot, we couldn’t be happier. 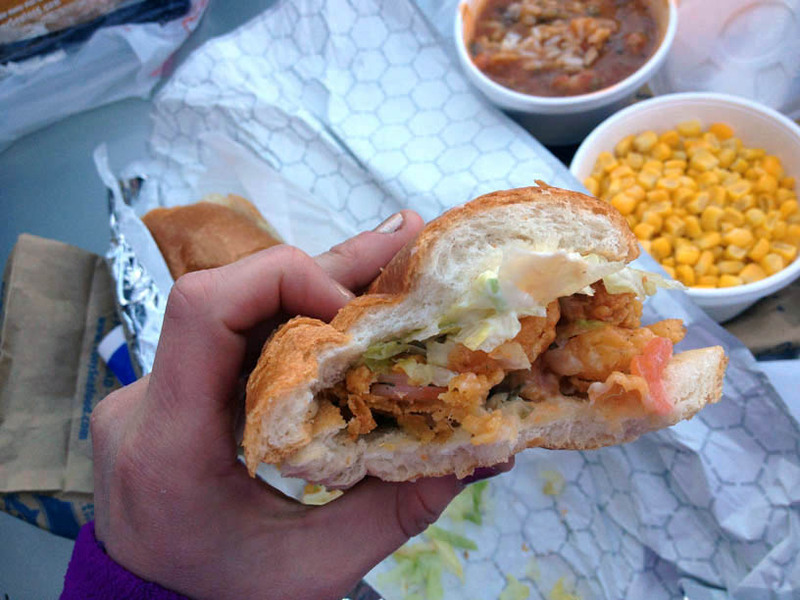 My dad and I ordered a lot of food: crawish boudin balls, a shrimp po’boy, a catfish po’boy, corn, and a bowl of crawfish etouffee, a buttery sauce of onion, bell pepper and crawfish tails, over rice. 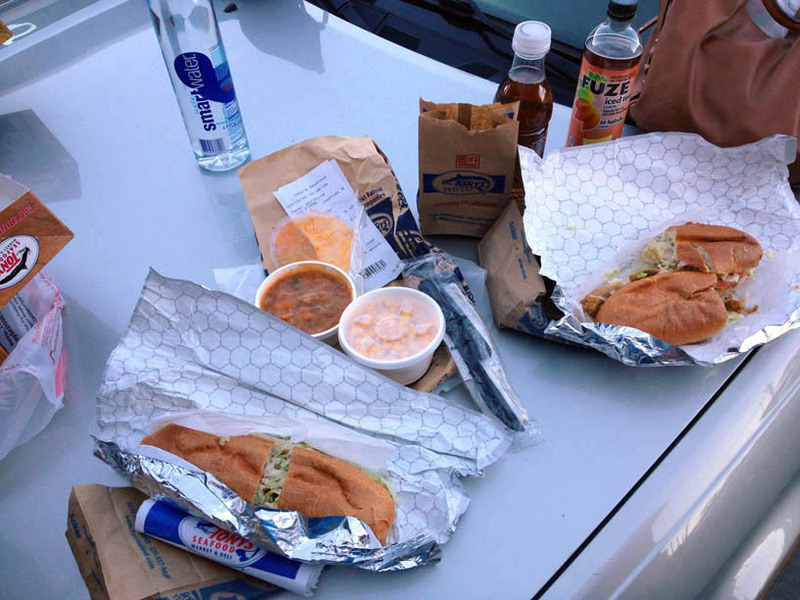 Using the hood of my car as a table, we stood in the busy parking lot to eat our Louisiana feast. Even Rachel enjoyed lunch, licking the buttery corn bowl clean. 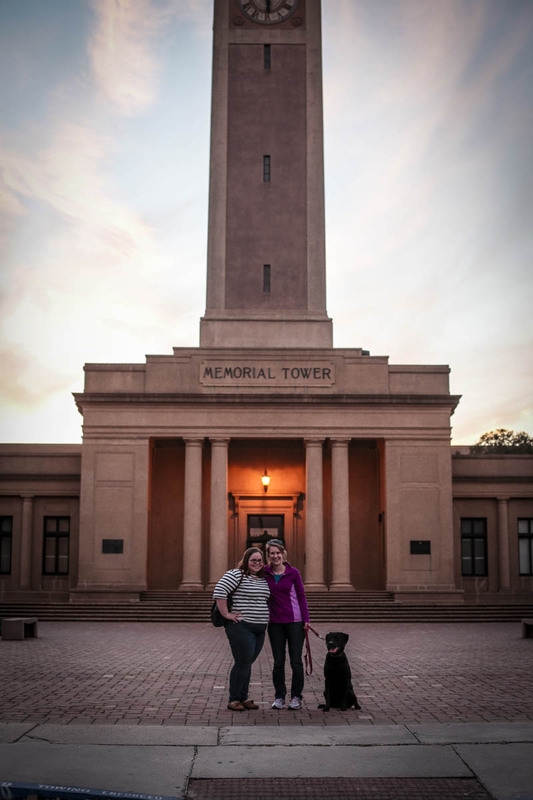 Stuffed, we drove to the LSU campus for a sunset walk. The highlight was the real tiger that lives next to the stadium. 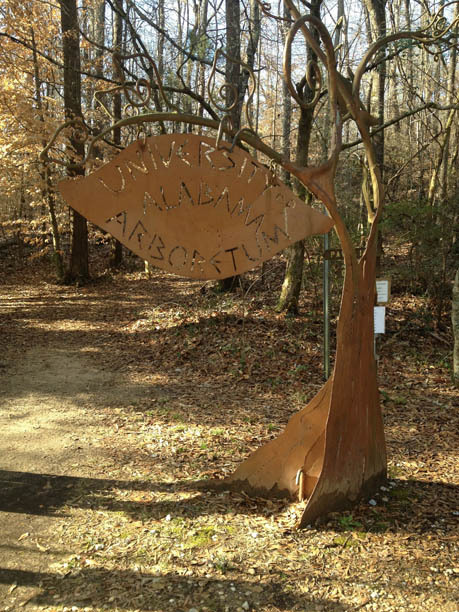 A bronze statue greets visitors outside the singe zoo-type habitat, crouched in a hunting position. Immediately, the pup felt threatened and her tail slunk between her legs. She growled, barked, and acted scared around the statue. The tiger’s smell probably made the statue seem real, and, she may have even seen the real animal. He was huge, and paced around his home. Dog and I didn’t walk directly next to the habitat, for she was unsettled for some time. 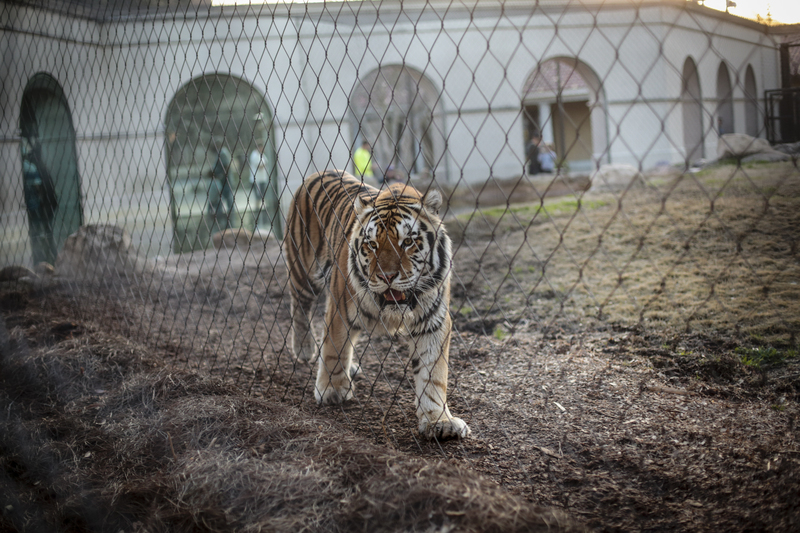 Daniel got some great shots of Mike the Tiger, a Bengal, before we all hit the road. 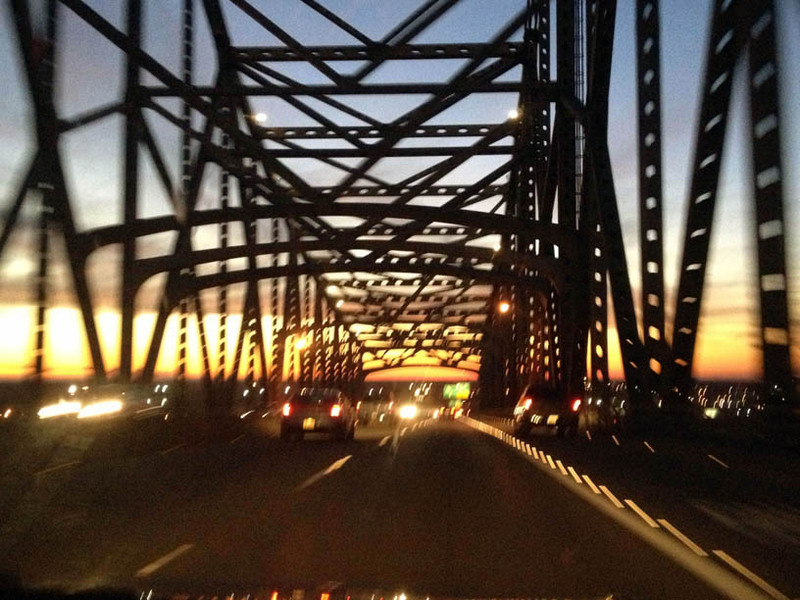 That night, we still had two more hours to go, over the Mississippi River and through the bayous to Lake Charles, La.